Bring Da Beat Back: Album Review: Jordin Sparks "Battlefield (Deluxe Edition)"
Album Review: Jordin Sparks "Battlefield (Deluxe Edition)"
After gaining fame as the extremely talented & likable American Idol winner, my personal favorite in fact, Jordin Sparks released her platinum self-titled debut album, which spawned a few pretty successful hits. 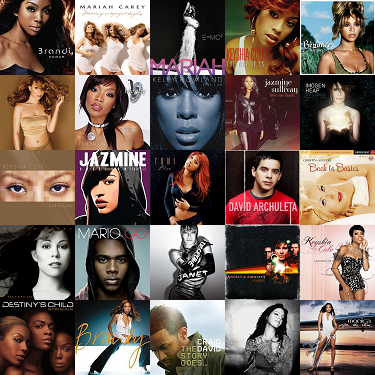 However, Jordin was rushed while putting that project together, so fans weren't given the opportunity to fully see who she was as a recording artist. 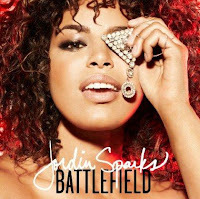 That's all changed now though, as Jordin prepares to release her anxiously awaited sophomore album Battlefield, which gets its name from the powerful lead single of the same name. Jordin shows us more of herself, both musically & lyrically, this time around & to say the very least, it works! Battlefield starts off rather brilliantly with "Walking On Snow," a fun & catchy opener with an interesting message. The title track "Battlefield" then leads us into her cover of Fefe Dobson's "Don't Let It Go To Your Head." Now, this is one of my favorite songs lyrically of all time, so I was ecstatic when I realized that one of today's best powerhouses was gonna take a shot at it. Jordin's version takes a fittingly more dramatic turn & her vocals soar on the track. Brightening things up a bit is the album's second single "S.O.S. (Let The Music Play)," a cool uptempo that's sure to take the clubs by storm. Jordin can sing anything, but I am truly in love with the middle portion of Battlefield because, I've realized, her voice is simply amazing on midtempos. You'll most definitely find yourself nodding, both to the beat & in agreement, to "It Takes More" & grooving to the melody of "Watch You Go." Jordin takes us back to her "I (Who Have Nothing)" days of emotion-filled vocals on the irresistible "No Parade." Then, on "Let It Rain," she shows off those big notes we all know & love. You can't blame Jordin, before she gets into those gorgeous ballads that you know are coming, for reminding us of her youth with the current uptempo "Emergency (911)," which is placed perfectly to keep things going. Jordin is quick to apply her magical ability of making the listener feel her pain (in a good way) once again on "Was I The Only One," a song she actually co-wrote, as is the case with the non-cheesy & inspirational (a rare combination!) ballad "Faith." Then, just when you think her bag of tricks is empty, Jordin sings her heart out on "The Cure," a flawless closer. At the end of the CD portion of Battlefield's deluxe edition are a pair of bonus tracks: the acoustic "Papercut" as well as "Postcard," which is good except for its 'postcard' theme. As a huge Jordin fan, I like them well enough, though they don't really justify the extra cost in themselves. I'll be buying the deluxe, rather, because of the included DVD. Back in the late '90s, these are the kind of things you would have to get separately for an inflated price, so I am grateful for the opportunity these present to us. Battlefield is a model sophomore effort for any talented artists out there looking to make their mark. Jordin puts that killer voice to excellent use to a soundtrack that is, honestly, much better than her debut. She took some time to find what works best for her & really hit the nail on the head. Incredible talent & quality material like this shouldn't be passed up.